We welcome you to be a part of our college! 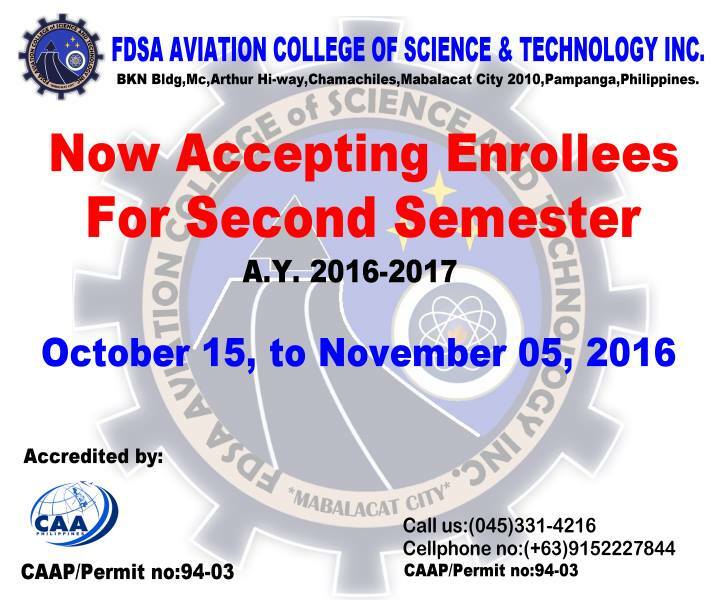 ・校　名：FDSA Aviation College of Science and Technology Inc.
Do you have what it takes to be a FLIGHT ATTENDANT? FDSA is also offering SENIOR HIGH SCHOOL!